This time Sylke was accompanied by Brigitte (an Abbotts Residents who had some concerns about road safety) and we spoke to Jim Maynard and Dominic Hiscock (two of our three local ward councillors). Road safety is normally an issue to be talked about with Hampshire County Council (HCC) but when it comes to parking lay-outs on the roads Winchester City Council (WCC) needs to be involved. When Brigitte approached the group with her concerns I had a quick look at the area and noticed that the give-way lines at the bottom of Dyson Drive have been worn off so badly that somebody who doesn’t know the area wouldn’t necessarily notice them at all, so I filed an online report with HCC regarding this. Brigitte’s concerns are more about sight lines and navigation space available at the corners of Dyson Drive/Francis Gardens/Chaundler Road and also at the corner of Francis Gardens/Grosvenor Drive as it can be dangerous to navigate those areas without being able to see oncoming cars well. Especially at this time of the year visibility can be poor in the afternoon with the sun setting right over Chaundler Road and parking cars obstructing the sight lines. 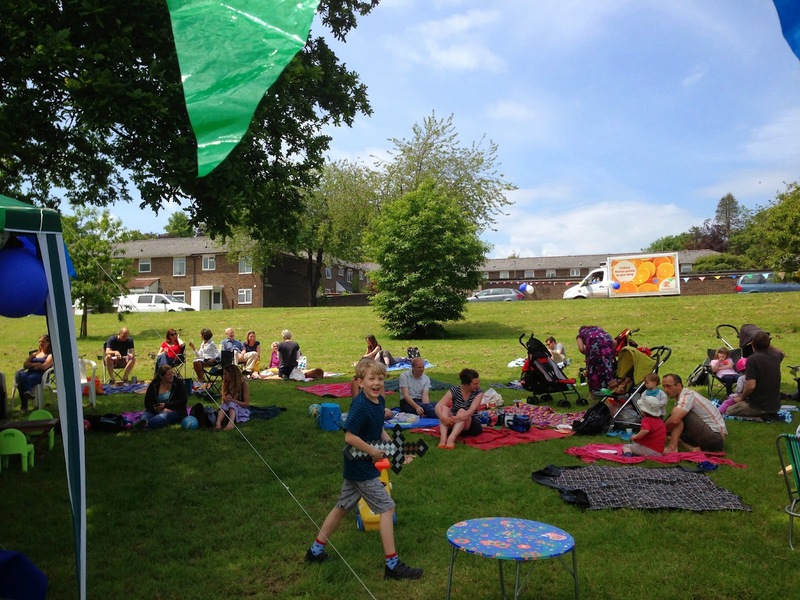 Since the parking bays have been introduced apparently there are more cars parked at the stretch of Dyson Drive between those junctions (on the side of the green) and it might help to take one or two spaces away. However this has to be looked at carefully as more road space often means that drivers go faster, something we do not want to encourage at all at those junctions. Jim and Dominic promised to talk to Neville Crisp at WCC so that the situation at the junctions can be evaluated. I also mentioned that the ‘footpath’ on Hillier Road next to the football club grounds is getting used less and less by pedestrians as it is a) obstructed by vegetation and b) on the muddy side of the road. I was advised that this is something to report to WCC as the road is private and owned by WCC (even though highways and footpaths are normally a HCC matter). We enquired about the best procedure to get private owners to cut back their trees and bushes that encroach on public footpaths and roads and make them unsafe. The best method is to use the online reporting system on the HCC website (or call them). HCC will then notify the owners and if they don’t act within a certain time period, HCC will notify a contractor and bill the owners. Our two new notice boards are apparently on their way and will be installed soon (possibly within a month). I asked about the status of these and was told they still need to be arranged. Most importantly, these local surgeries will not replace the one in Hyde as that one is an evening one and the local one in Abbotts Barton will be a daytime one. 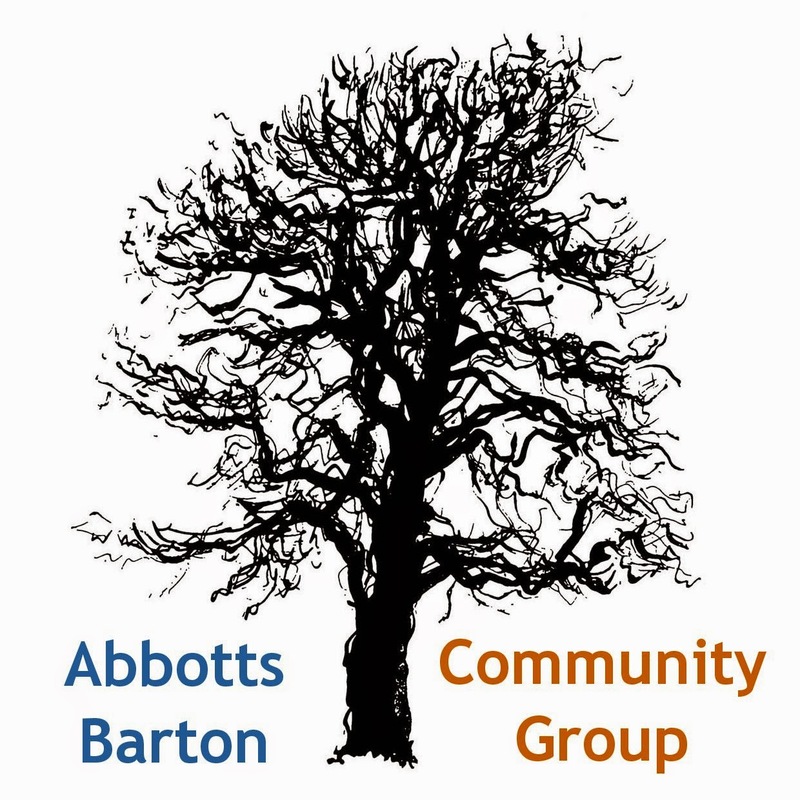 Dominic told us that there is a local resident who is interested to set up a Neighbourhood Watch team for the east side of Abbotts Barton (there is already one on the west side of Worthy Road), so expect to see some information for that soon.